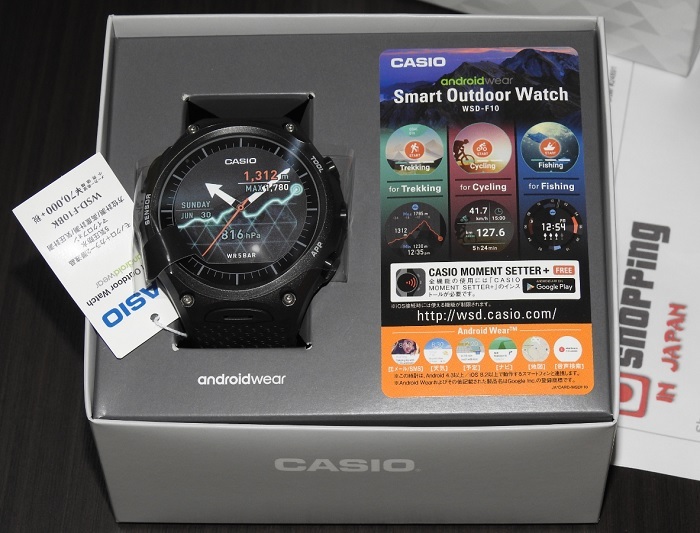 We selling directly from Japan on this Made In Japan Casio Smartwatch WSD-F10 black version that comes with sensor-equipped and capable of measuring direction bearing, atmospheric pressure, and altitude. This makes it an ABC (altimeter-barometer-compass) watch but it does not have a thermometer like the traditional Casio Triple Sensor watches. This Smart Outdoor Watch WSD-F10 is a JDM (Japanese Domestic Market) watch model and it's now in our stock - ready to ship within 48 hours to any country. So buy now before it’s too late!